Once again, the bathing waters of all East Devon District Council-owned beaches have been classed as 'Excellent' following stringent testing by the Department for Environment, Food and Rural Affairs (Defra). The announcement of the 2018 bathing water quality results, which was made by Defra, revealed that all six of the district’s beaches received an ‘Excellent’ classification – which is the highest and cleanest class. The classification means that the water quality over the past five years has been the best it can be. The private beach of Sandy Bay attained an Excellent standard, too, while Ladram Bay achieved a slightly lesser classification of Sufficient. Ladram Bay is a small beach at the head of a narrow valley fed by a stream, which runs through active agricultural land. It can be vulnerable to short term pollution incidents caused by rain water run-off and agricultural pollution sometimes concentrates in the stream, particularly at low water flows, as was seen during this warm dry summer. The top classification is a goal that the council has aimed for and strived to maintain. This is a result of a combined effort between the council, the Environment Agency, South West Water and local farmers and land owners. Everyone has worked together to reduce the potential for dirty water to enter East Devon’s rivers and streams, and to inform and educate the public. The water quality is tested by the Environment Agency every week throughout the summer and the results are considered alongside those from the previous three years too. The district council’s Environmental Health team is advised of the results, and is responsible for informing members of the public about water quality. This information includes a system of real time predictions of poor quality and the council recently installed an electronic sign at each of its beaches so that people using the water can see whether the water on any particular day is likely to meet the required standards. 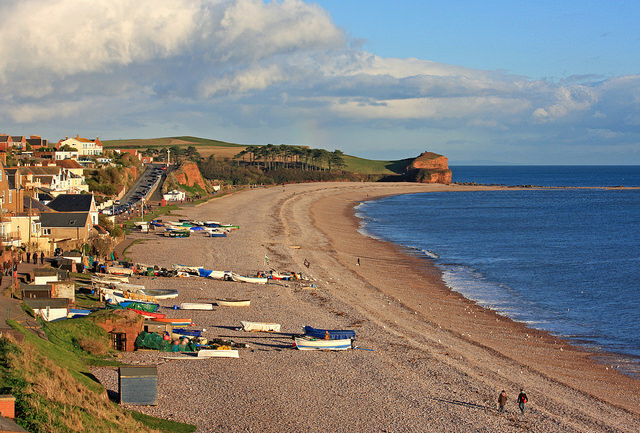 Poor water quality has been shown to occur only after heavy rainfall around the East Devon coasts, and most likely on beaches fed by rivers and streams. The standards were tightened in 2015 meaning that the ‘Excellent’ classification represents only the very best water quality.